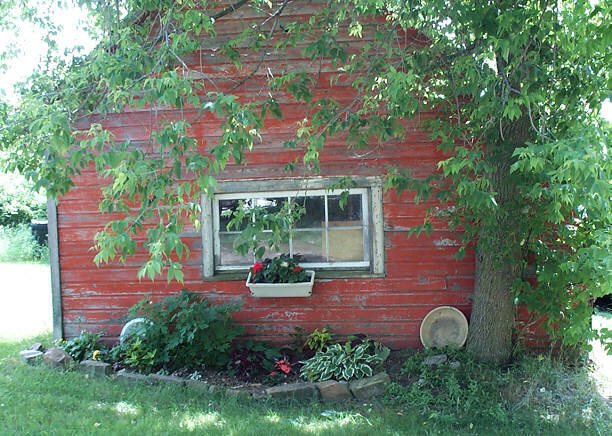 I needed to dress up this old shed, so I started to put plants here in the summer of 2004. Last year Paul put the rocks around it, and that made a huge difference. 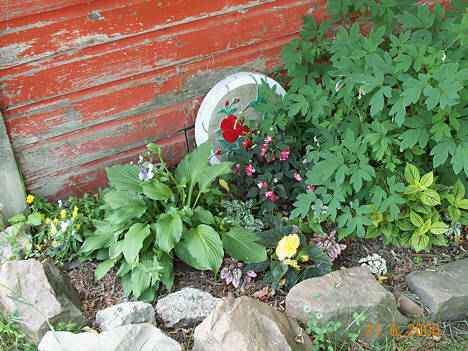 This year I'm growing the same plants with a few different annuals. Here's a closer picture of the east side of it. I had moved the Bleeding Heart here last year, after it wasn't doing anything in the front garden. DUH! That's because it does better in the shade! 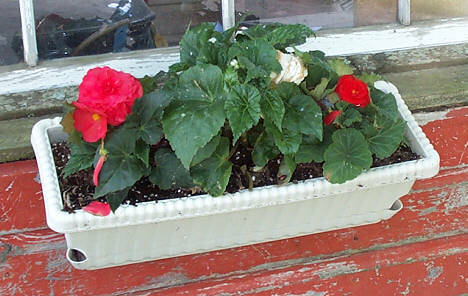 Also in this picture is a Hosta, a yellow Begonia, a lime Coleus, some Polka Dot plants, a beautiful red Double Impatiens and some pansys that grew from seeds being dropped from the window box the year before. Here's a picture of the west end of the bed. 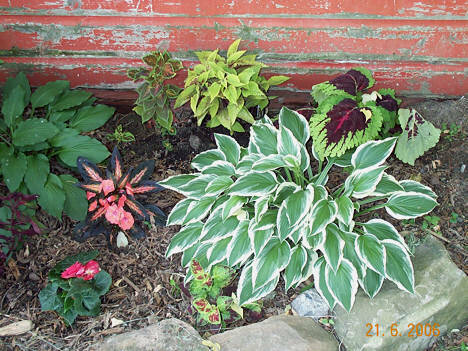 Here I have 2 different Hostas, a pink Begonia, a New Guinea Impatiens, and several varieties of Coleus. 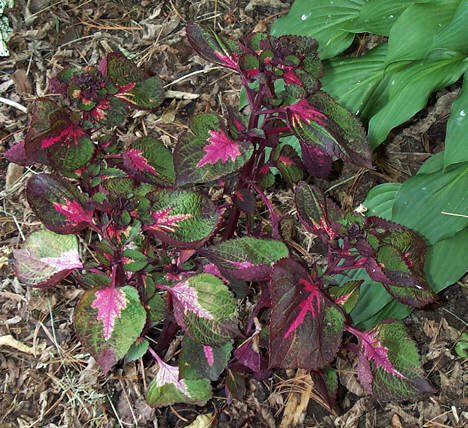 A close-up of the Kong Coleus taken June 21st. 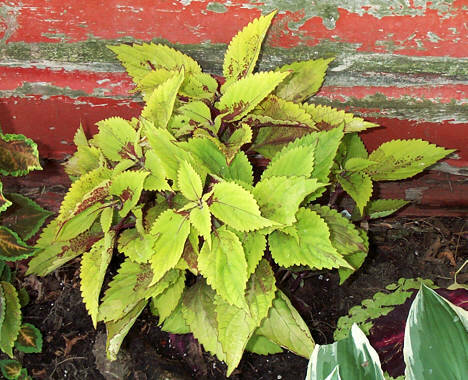 Here's the Lime coleus taken June 21st. This one really brightens things up! 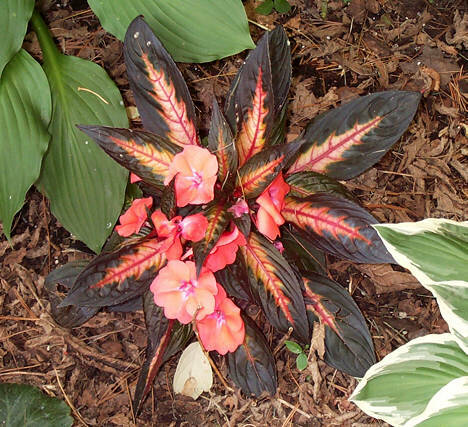 A close-up of the New Guinea Impatiens. I love this plant! The flowers are really pretty, but the foliage is a knockout too! 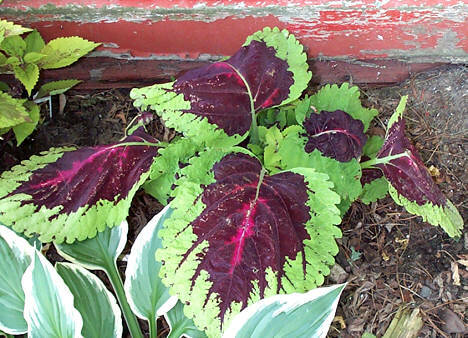 I can't remember the name of this variety of Coleus, but it's gorgeous! I might have to move it to another location because it gets kind of lost here, and with a plant this beautiful, it needs to be seen! Check back for updates in this bed. I'll be putting up more pictures as things grow. The summer is just about to start, so things will take off pretty soon!